We finished our Christmas holiday with a few nights in Trafalgar catching up with most of Jan’s family. Then we headed around the coast to Tuross Head for a fleeting visit to the area we called home till Dec 2008, when we hit the road. After a couple of nights with Di and Peter it was time to head north again. Started back at work on Jan 4th and I worked 23 days straight, with just one day off in the next 6 weeks. Not long after that the smelly brown stuff hit the proverbial rotating blades – workwise anyway. 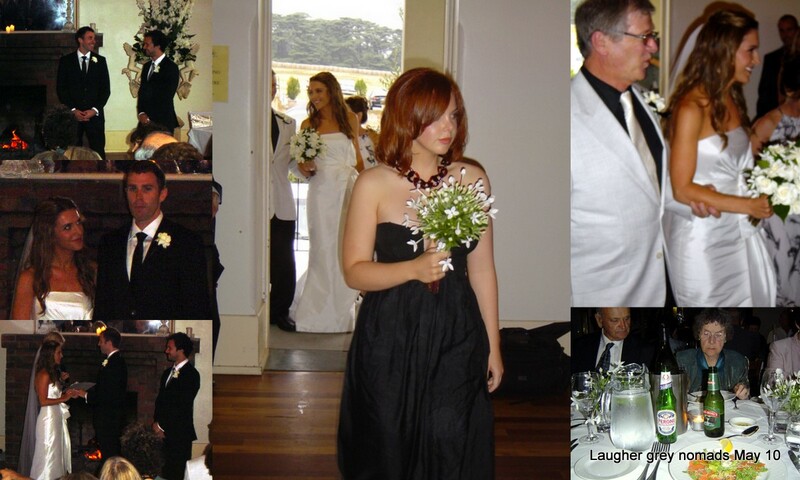 We flew from Rockhampton to Melbourne early in March for Ben and Zoe’s wedding on the Mornington Peninsula. It was good to catch up with our families over our 6 days away from Emerald. The end of the week saw me chasing a new job. There is a lot I could say but I will restrict my comments to this – is it too much to ask to be treated by others as they would wish to be treated themselves? The local Ford dealer ran a Ford show on the Sunday of our May Day long weekend. I got to relive a big bit of my past as I learnt to drive in a Ford Prefect, a Ford twin spinner, a 203 Peugot amongst others. 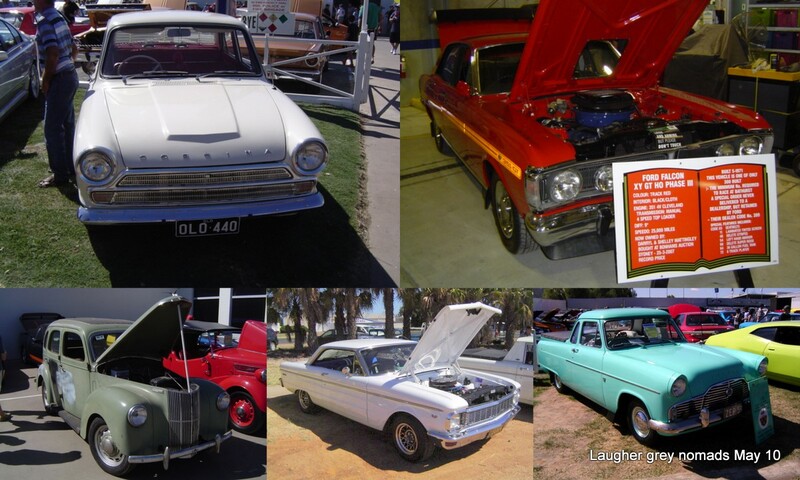 My first car was a Mk.2 Consul for which I paid $125.00 from a dealer in the main street of Yarrawonga, Vic. I also owned a Mk.2 Zepher, a 2dr XM Falcon and I rallied a Mk.2 Cortina. Other Fords I /we owned over the years include a XC sedan, a XF sedan and a BA2 Fairmont wagon. I have also had a few Holdens over the years and sit on the fence in the Ford versus Holden debate. Lee is Jan’s self-confessed “boyfriend”. 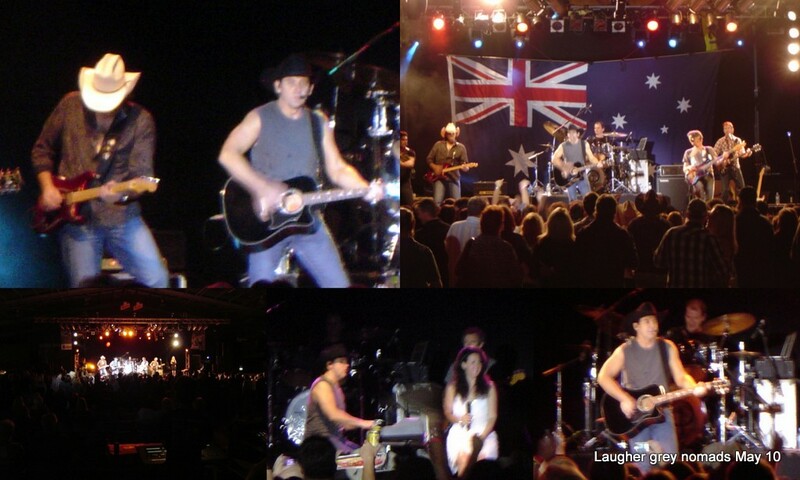 Last weekend he was performing in Rockhampton at the pub he used to own – the Great Western which has its own rodeo ring out the back. 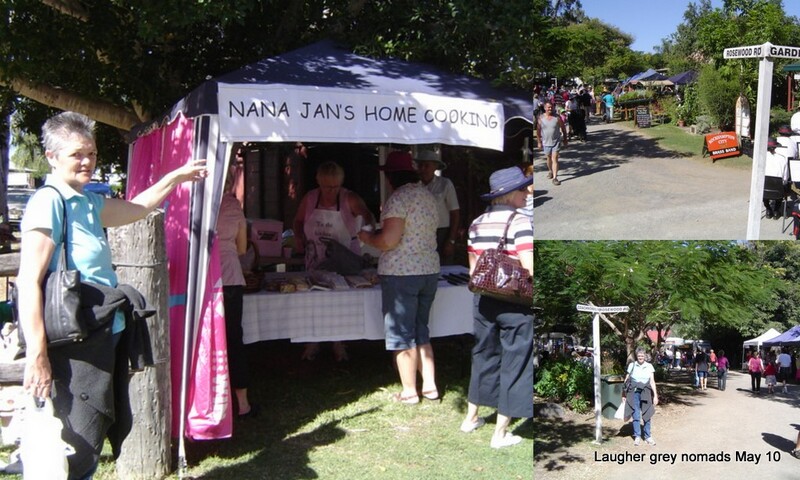 So we had a weekend away – a bit of shopping, the concert and then the Sunday markets at the Rocky Heritage Village. All in a top weekend! As shown in this last photo – Brianna and Rodney – your Mum’s been dreaming again! There is no sign of you getting that title at this end, Brianna step up!